Those who purchased after prices began to skyrocket in 2003 probably found it necessary to sell through a short sale. This is the process by which the bank agrees to accept less than the balance due on the mortgage so that a homeowner can sell at fair market value.Prior to 2011, the banks could then sue the sellers for a "deficiency" to collect some or all of the shortage. Fortunately for California homeowners, Senate Bills 931 and 458 made it illegal for either the first or second lien holder to sue for a deficiency after a short sale. That is a simplified definition for what can be a complicated process. It does require patience and a complete understanding of each bank's policies and procedures. Thus, sellers should always seek out an experienced Los Angeles short sale agent before beginning the process. You've heard that short sales take so long that they're not worth attempting. They do take longer than a "normal" sale, but most of the true horror stories you've heard came about because the sellers used an inexperienced agent – one who broke "Rule #1." What is Rule #1? Present the short sale request package correctly. Getting this first step wrong will send your request to the bottom of the pile, and leave you hanging for months. An experienced agent knows what each bank wants and will present the short sale request package correctly – right down to putting the papers in the correct order before submitting them. Even given the extra time, a California short sale is definitely "worth it." SB 931 protects homeowners from a deficiency judgment on the first mortgage whether it's a short sale or a foreclosure. SB 458 protects the homeowner on a second ONLY through a short sale. There is NO protection from liability on a second if the house goes into foreclosure. And of course, a foreclosure has a far more damaging effect on your credit scores than a short sale. 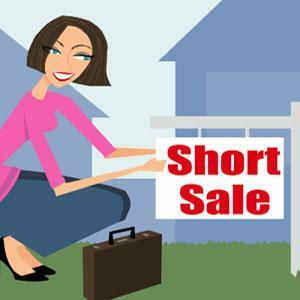 I've handled short sales in Silver Lake and surrounding areas that took as little as one month. Others have taken up to 4 months. Why the difference? In addition to problems with incorrect submission of the request package, there's the human factor. Even when the package is perfect, some asset managers are less motivated, work slower, or have a bigger case load than others. But delay is not always the asset manager's fault. The lender who collects your payments may be a servicer rather than an owner. When you submit a short sale request, it may have to go one or more investors for their approval. And remember, if you have more than one mortgage loan on your house, approval will have to come from both lenders. In addition, each bank has its own policies and procedures that the asset managers must follow. Some take longer than others. 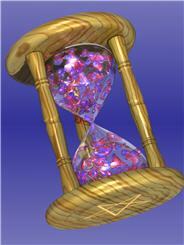 Is the wait worthwhile for buyers? Yes, it is. Some short sales actually sell for less than comparable foreclosed properties, and most are in far better condition. Foreclosed properties, especially those that have been vacant for a prolonged time, can present a myriad of unpleasant surprises. In addition, when you choose a short sale you'll be furnished with a seller's property condition report and may even be able to get the seller's advice on how to operate and maintain the systems in the house. Do choose an experienced short sale buyer's agent – one who will help you be "ready to roll" when the lender sends that short sale approval. To learn more about short sales in Los Angeles County or about buying or selling a home in Silver Lake, Echo Park, Los Feliz, and surrounding areas, call me at 213-215-4758. I'll be pleased to answer all your questions. Jenny Durling Broker Associate L.A.Property Solutions DISCLAIMER: This article is intended for informational purposes only. None of the information contained in this article should be taken as legal advice. Readers are advised to seek legal and or tax counsel regarding any information provided herein as they relate to specific personal situations a reader may face. Further the information herein pertains to California only. Deficiency laws will differ in each state.